Lieutenant Commander Jalana Laxyn, a non-joined Trill is the Chief Medical Officer on the USS Apollo. Her dedication to her patients and their needs has seen her progress through the ranks and she has worked her way up to the position of Chief Medical Officer. She is one of few students to graduate the Academy without having first earned the title of Doctor, however she is working on that alongside her regular duties. She has a mentor, Cayden Adyr who is providing her with support as she goes through the training she’ll receive on the Trill Symbiosis Program. It is her hope that one day she will become joined. In her free time she enjoys spending time with Major Viktor Lanius who she is in a relationship with. He taught her how to play poker and has been known to cook meals for them, which she particularly appreciates due to being hopeless at it herself. One of the things she can do though is play the Trillian flute, a wooden instrument she has been playing since childhood. 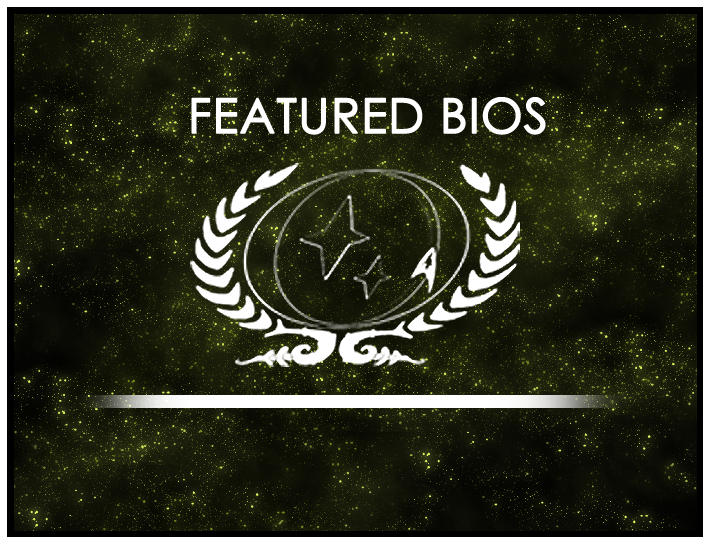 Lieutenant Commander Jalana Laxyn’s bio will be displayed on the wiki’s front page for the month of July. As always, you can find out more about the contest at its wiki page or in its forum. Round 14 is now open, so be sure to drop by and submit your own nominations!